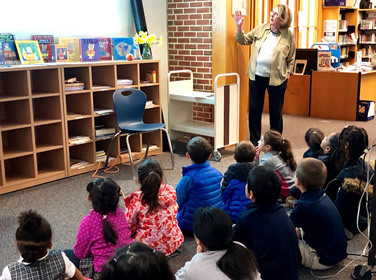 Award winning children's author Rosemary Wells recently visited the Bullis School and led workshops for all students in the Lower School. Rosemary Wells has written more than 100 books and is perhaps best known for her series "Max and Ruby." Wells presented a "Young Artists Workshop" for students in grades K, 1, 2 and 3. Students in 4th and 5th grades enjoyed a "Young Writers Workshop." Wells also held a book signing for members of the community. 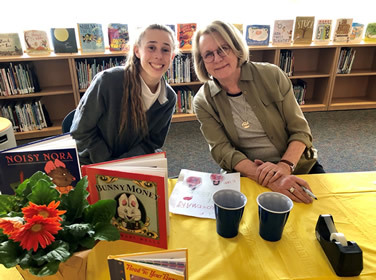 The event was initiated by 12th grader Brooke Morgan who completed a Humanities and Global Studies Capstone project on early childhood literacy. 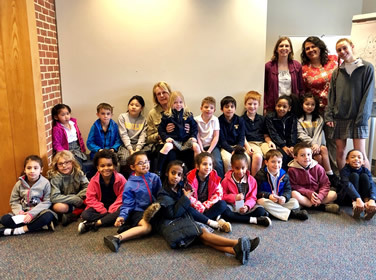 The visit was coordinated by Upper School librarian Lisa Clarke and Lower School librarian Katherine Brewer and funded by the Parent Association and the Humanities and Global Studies Signature Program. Best of GWATFL 2018 presents at NECTFL and beyond! Each fall, families from near and far visit to explore Bullis before they apply. Whether you’re new to the area or a long-time resident, we invite you to learn more and see if Bullis might be the right place for you and your children. One of the area’s most robust, the Bullis Arts Department provides students a wide array of classes and after-school activities in theater, dance, visual arts and music. From cultivating skill and technique to building creativity and confidence, the arts provide all students a chance to find something special in themselves and a window for understanding the world. A proud and strong tradition of teamwork and school spirit drives Bullis athletics. Whether winning championships or building strength, every team provides students a chance to represent the School and have fun with the entire School community behind them. The most successful students at Bullis get involved on campus—in clubs, government, teams and other activities. With something for every interest and type of student, Bullis builds community through the many cross-connections possible through our active student life programming. From our proud history to our promising future, Bullis builds community while enabling each student to find a unique path and passion. Read more here to learn of the School’s foundation and evolution, and to keep up with what’s going on today. The active involvement of our parents, alumni and friends provides Bullis the engine to keep growing, evolving and innovating. From philanthropy to volunteering, supporters connect with Bullis in many ways and we are ever-better because of them.